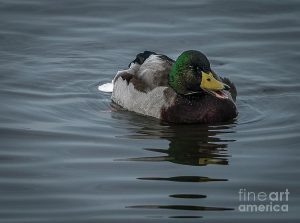 Even the duck is an animal which is not living in the water, in the fact they have natural habit that relatable by water. Yes, their natural habit is swimming. Since they were baby, the instinct to swim is already exist on the duck. Well it is not surprisingly new for us because it is their natural habit which related by instinct. One of situation that it is couldn’t be control or built. For people who had duck poultry, to facilitate this habit they are put the duck in the lake every morning. Even the distance between the lake and the duck house is really far, the farmer doesn’t have any chance to choose. It’s all do just for the ducks. If this habit pressed and the farmer prohibits them to swim, well some problem like stressed will come to the duck. So it would more profitable for you if you can have your own pond to your duck, right? Here are some positive affect if you have your own pond. When you build your own duck pond will make you save energy because you don’t need to take your duck into far lake just for facilitating the duck to swim. Well it is like simple thing but when you do it as commonly, it would have big impact. When you can safe your energy, it is automatically can safe your time. Basically time and energy are so related and the time would the first thing that would impact first. To put 200-300 ducks in the lake to swim it surely take the whole time. The time which already scheduled before like feed will be delayed. It is rarely happen but it does ever happen moreover if we take a baby duck. The baby duck which still months old usually lost both before and after swimming. Even the lost id one or two of a hundred ducks, if it repeated for any times, well it would great loss, right? So if you have your own duck pond, this point would be reduced after energy and time. By have your own duck pond, it would more so practical because you don’t need to go away to the lake and it is more safe because you don’t need to worry of any problems like lost duck or predator which already exist firstly in the lake. One of all things that you need to prepare is the ground. Even the ground is not around the duck house just make sure that the location is near which well access by the duck house. If you have limited ground which already used for the duck house, don’t force to make it in under the cage. That’s because the under of cage usually pooped by duck so it is not clean. Also, don’t force to make duck pond if the ground is limited. The pond must be able to covered ducks. It can’t be make the duck swims alternately, it wouldn’t work for duck. Make sure that predator doesn’t have any access to entering the pond. A predator that usually stays quite in the pond is crocodile. So just make sure there is no access for them to getting inside both of naturally or artificially. Keep the cleanliness of the pond also as your things to be considering. As we know there are many diseases which came from dirt water. If the dirt water touched the duck some disease like itchy or irritation will attacked them. To prevent the dirt is not too much you better place a big plastic as the base so it makes you easier to clean it. Even it is easy to cleaning, well if you are lazy to do that or there is no man that wants to does it, it would be useless. There are so many cases that happen when the farmer tries to develop two differences industries at the same time. The commonly case is like the farmer has fish farm in the pond that used by duck. In the end, the duck attacked by itchy because of the fish feed which spread all of pond. Well the main goal to double profit by developing two industries would be fail just because doesn’t know this basic, right? So you better separate it away then. If you want to make two difference industries, then don’t put it together. Something that added to our list should be needs extra attention, right? So does the pond. Now you are not only manage the duck house but also manage the pond. Keep cleanliness, change the water if it turns to dirt, and repair it if there is any problem both in the base and the pond itself would be your new activity if you decide to build pond. Management added so does the budget. All we can do to treat poultry needs budget. To buy something like food and some equipment to treat the pond must be noted and covered in budget system. This is the basic thing that you want to cut or add something in your poultry. So before you really do it, you better plans it in budget so you can prepare the money or just avoid to buy something that you don’t really needed to support the poultry development. It is not only when you put feed time to daily schedule because it added by swim time, but it also how you manage the time when the duck has swimming time. Put the duck to swim alternately is not suggested if you can’t do it properly. Some duck may understand to manage as that, but remember that not every duck has same respond of it. So play safe is more profitable on this point. Security system is not only to avoid people who wants to steal duck of your poultry but it is about how to blockage some sabotage that every people can do over your business. In this point, please be highlight that stolen case is not the only sabotage to lose your business. Something like inside a predator or some poison in the pond would kills the duck easily, right? So be open minded to take a prevent act in this case. That’s all some things that you should consider when you build your own duck pond. Basically facilitating our animal poultry which is our income is good thing to do. But if you lack of budget both of money or ground, you better take the risk to take your duck in the near lake even make a risky decision. That’s because once you make risky decision, the lost will ghosts you every time. So be smart farmer.